So much of what is today accepted as "fact" about Adolf Hitler is full of inconsistencies and assumption. It has been my experience that the public will readily swallow whatever they are fed about Hitler without giving so much as a second thought as to whether or not it is accurate. I wish I could be indifferent to this and take a neutral stance, but I cannot. I have dedicated six years of my life to studying that of Hitler, and it pains me to witness the widespread ignorance displayed by the majority whenever his name is mentioned. This is why this book is so important to me. It is by far the best ever written about his young adulthood and, in short, who he really was as a person, an individual; for in order to begin to grasp who Hitler was, one must look into his past. During the years the two spent together in Linz and later in Vienna, young Adolf was already developing into who he would later become. 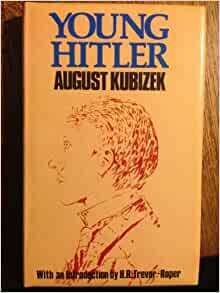 For getting a deeper perspective of the true nature of Adolf Hitler, August Kubizek is, in my humble opinion, the most reliable source for insight into this complicated human being. No one knew Hitler more intimately than he did. 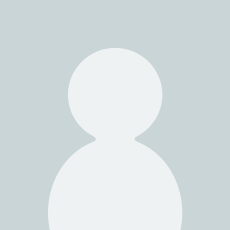 He was also reunited with his old friend three decades after their ways parted in Vienna, and thus gives valuable insight regarding "Adolf Hitler, the Führer". And, as Kubizek remarked, "Hitler didn't change." The words Kubizek uses to describe his young friend convey the image of a deep, passionate, gifted and serious young man who, due to his great obsession with changing the world around him, did not enjoy his youth in any traditional sense. Kubizek did his friend a great service by writing this book. It is required reading for all serious students of Hitler's incredible life, for it is an honest, first-hand account of the young starving artist, open and unbiased--unlike any other book ever to tackle the subject. Kubizek was, I am convinced, a good man who had nothing to gain and everything to lose by publishing the truth about Adolf Hitler's character and showing the world his "human" side, because the world after the war (and even today) was not interested in the truth. So many were then and still are content to write Hitler off as the embodiment of all evil, to reject his humanity. .
Kubizek's book, although published over 50 years ago, shines like a beacon among so many lesser works -- written by those who had never so much as spoken to their subject -- countering all the blindness and ignorance that those looking to criticize Hitler can dish out by, in turn, showing us the other side of who Adolf Hitler was: the poet, the dreamer, the visionary, the artist, the son, the brother, and the friend.